At last! 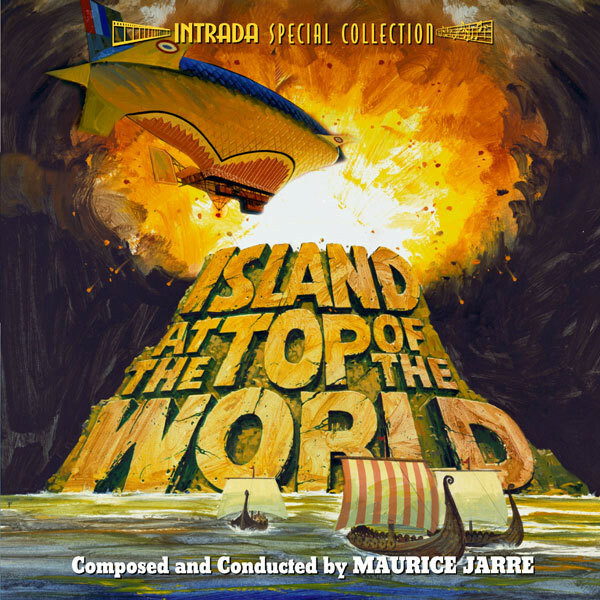 World premiere release of exciting, melodic large-scale orchestral score by Maurice Jarre for Robert Stevenson action fantasy from Walt Disney Pictures, starring David Hartman, Jacques Marin, Mako. Jarre opens with heroic minor-key fanfare-theme for French horns, trumpets, then moves into soaring melodic territory representing fanciful flying machine in flight. Discovery of ancient Viking civilization, subsequent battles, raging volcano all inspire composer to create one of the most colorful, exciting scores of his prolific, award-laden career. Standing out amidst the excitement is extremely moving, gentle theme for Donald, lost son of businessman that plays at heart of fanciful tale. Haunting theme is one of composer's finest! Intrada CD presents complete score in dynamic stereo, newly mixed from original multi-track session masters vaulted in beautiful condition in Disney vaults. Colorful graphic design from Joe Sikoryak plus liner notes from Jeff Bond complete handsome package. Maurice Jarre conducts.